The procedure for mini dental implants are less complicated compared to the conventional one. This can be completed with just one appointment with the trusted staff of Fairfield Family Dentistry. No surgical flaps or sutures are involved so you will be saving time and effort. Visit us today for your dental implant concerns! Our staff will take the first step by performing the necessary X-rays and impressions. 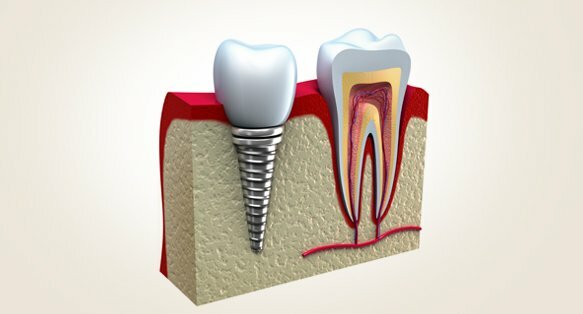 Once the results shows that you are capable of the mini dental implant, we will complete the process on the day of your scheduled appointment. Mini dental implant is used to hold denture plates, but today this technology has expanded and now covers single tooth to full mouth restoration. You will have more ease when you smile, eat, or speak after the procedure has been completed. Mini dental implant is both easy and simple. We take pride in giving dental treatments and services using modern and state-of-the-art facilities. Our high standard in safety and infection control sets us apart from other dental institution. We’re experienced in a variety of dental implants making our patients trust us with their other dental needs.